Litterati combines creative thinking, crowd-sourcing and technology to reduce the detritus left in our wake. I was pushing my two kids in a double-stroller through the Oakland hills, and as we rolled alongside a winding creek, my daughter noticed a plastic tub of kitty litter in the water. Sure, I’d seen litter before. But that moment, witnessed through a child’s eyes, opened mine. I began to notice litter everywhere: sidewalks, streets, and playgrounds. And I live in the San Francisco Bay Area, a place that prides itself on being eco-conscious and environmentally friendly. Then I remembered a lesson I learned as a kid at summer camp. Just before our parents visited, our camp director would instruct each of us to pick up five pieces of trash. 200 kids x 5 pieces per kid = a cleaner camp. So why not apply that same crowd-sourced model to the entire planet? And leverage technology to do it. That’s when Litterati was born. The vision is a litter-free world. Here’s how it works. 4. Throw away the litter. At first it was just me. Each day I’d photograph ten pieces of litter. 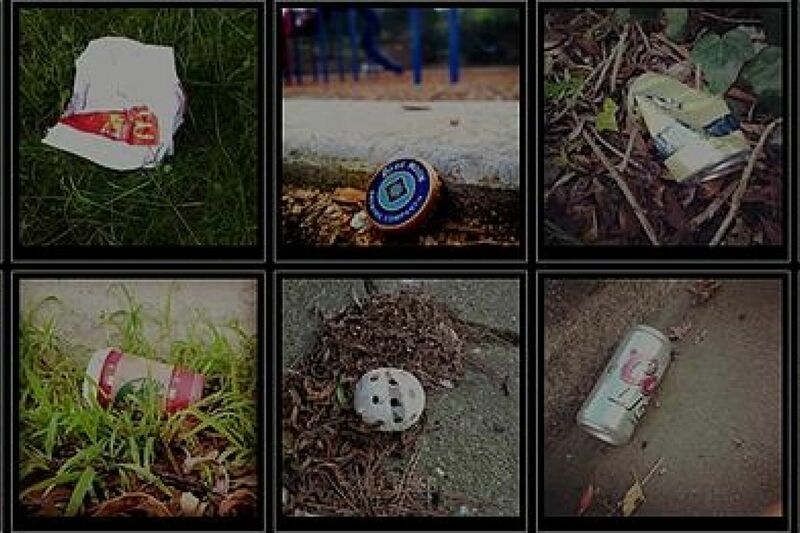 I found that Instagram’s artistic element made finding trash rather enjoyable. Dare I say, some of the photos are even beautiful. I also realized that I was documenting my personal impact on cleaning the earth. Pretty soon, more folks began participating and started contributing to the Digital Landfill - a photo gallery of all the litter that had been picked up and properly disposed of or recycled. Coffee cups, soda cans, plastic bags, and worse. A small, yet ever-growing community had quickly gathered a sizable haul. And with GPS, images of the picked-up litter appear on a global map displaying how we are truly all connected. Trends began to emerge, revealing which items and brands all too often end up as litter. It also became evident which neighborhoods get littered again and again. It’s powerful information that could lead to change. After all, people don’t want their community littered. A solution could be as simple as a well-placed trash can. Certainly businesses don’t want their brands synonymous with litter - maybe there are changes they could make. First, it’s our turn. Look for litter, snap a photo, and become part of the solution. Join the Litterati. Our planet will thank you. Jeff Kirschner is the father of two ridiculous kids, an entrepreneur with some success and much failure, and the founder of Litterati.